I have four lovely ladies coming along nicely under 6500K fluorescents. Unfortunately they cannot come to my house and go outdoors to play in the garden until July 1–and now you know which state I live in. These babies will be about four feet tall by Liberation Day (three Indicas and one Sativa). They are currently under 18 hours of light per day. While they would miss a month of growth if I harvested them 9 or 10 weeks after they go outdoors, my medical-grower friend who is keeping them for me until I can LEGALLY own them–Yaaaayyy!–says that shocking them into bloom the day we put them out would make them finish in mid-September, rather than mid October. In this climate, where Fall rains can ruin your crop, that would be good. So my question is: If I ask friend Country Cowfreak to turn up the lights to 24 hours a day for the last two weeks indoors, and then we put them out into 15-1/2 hours of light a day, should that bloom-shock them better than going from 18 hours to 15.5? When I was a smartmouthed kid we used to turn “muchísimas gracias” into “much grass, man.” I can’t think of a better thing to wish a smoker, so, much grass for the help. The Admin really wants people to look at that damn forum lol. A lot of people ask questions in these comments Nick. We direct them to the forum as that’s the best place to ask them. Hi everyone! I live right above the MA border in New Hampshire. Question…I am afraid of ordering seeds from a foreign country (Holland), I am not afraid of getting ripped off , but having the DEA catch it a the border (if that makes sense). Anybody have any ideas or suggestions? 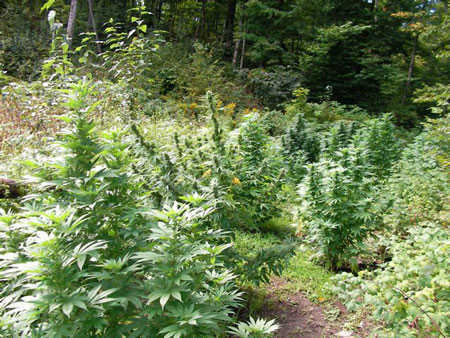 I have 7 acres of land and would love to parcel a small portion to grow a few plants each year. Thanks! Need help, I got about 6 plant growing and the leaves look like clover’s. 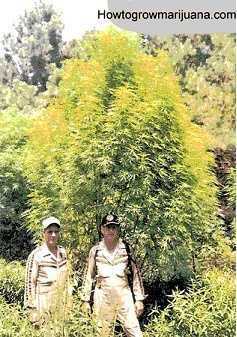 some one told me they will form into a normal marijuana leave. Check out the links we have to some of the seedbanks Dylan.